If you’re happy and you know it say HaHahahahahahahaha! 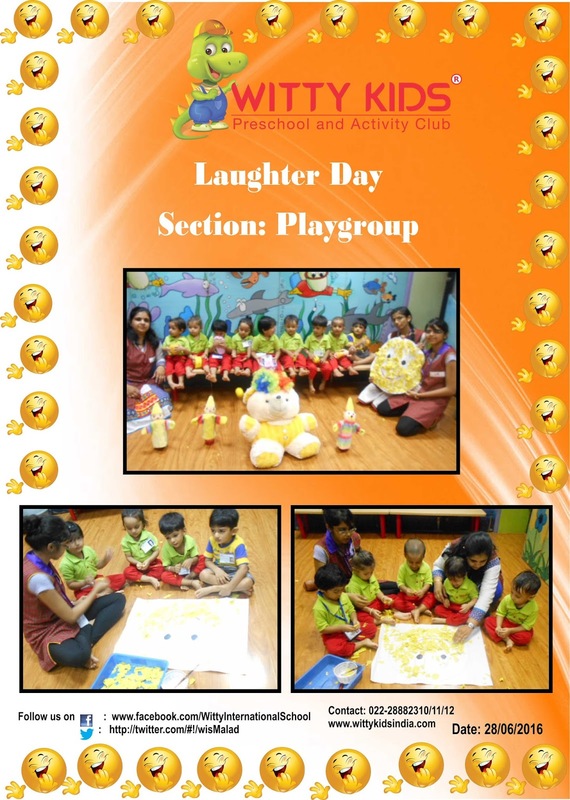 “Laughter is the Best Medicine” keeping this in mind playgroup celebrated ‘Laughter Day’ on Tuesday, 28 June 2016 at Witty Kids. The class was decorated with different smileys. Teacher also discussed the smiley toy brought by each child and they had great fun playing with them. Children enjoyed the day by sticking yellow paper to make a smiley. It was indeed a smiling day for the little ones.